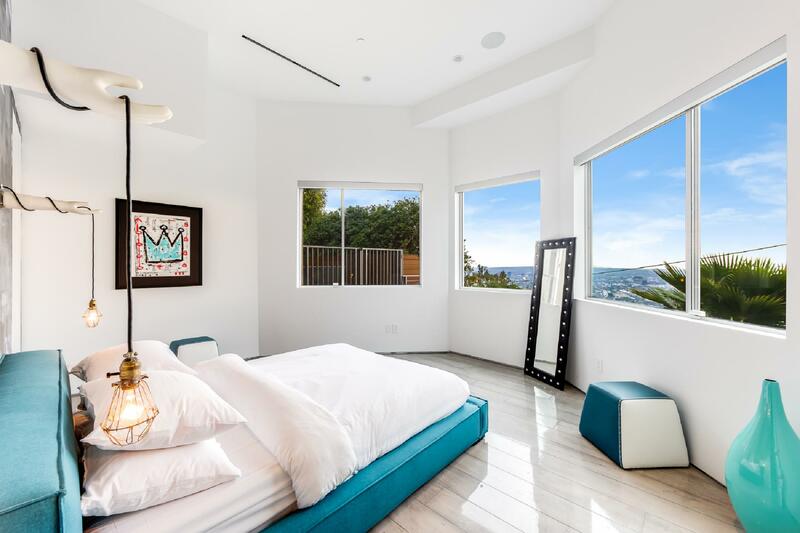 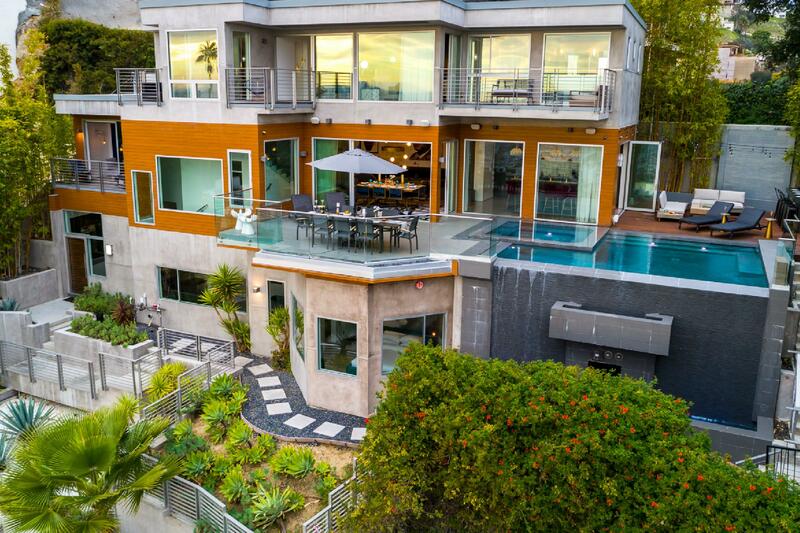 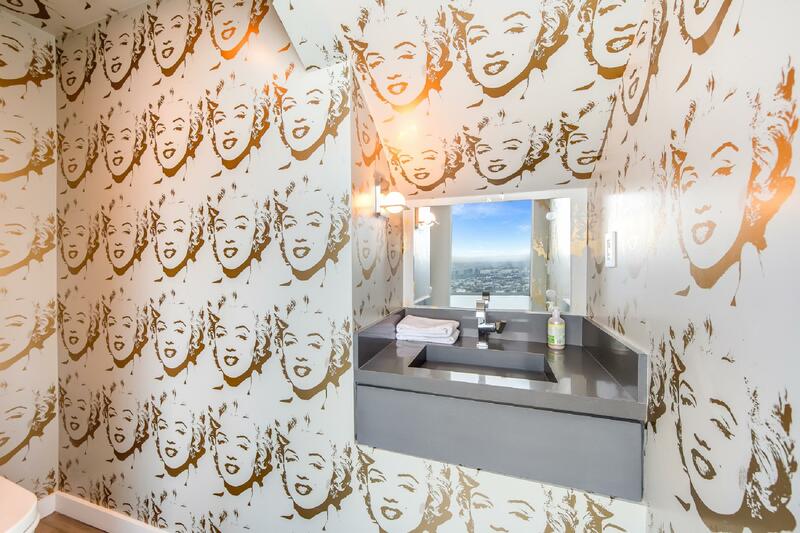 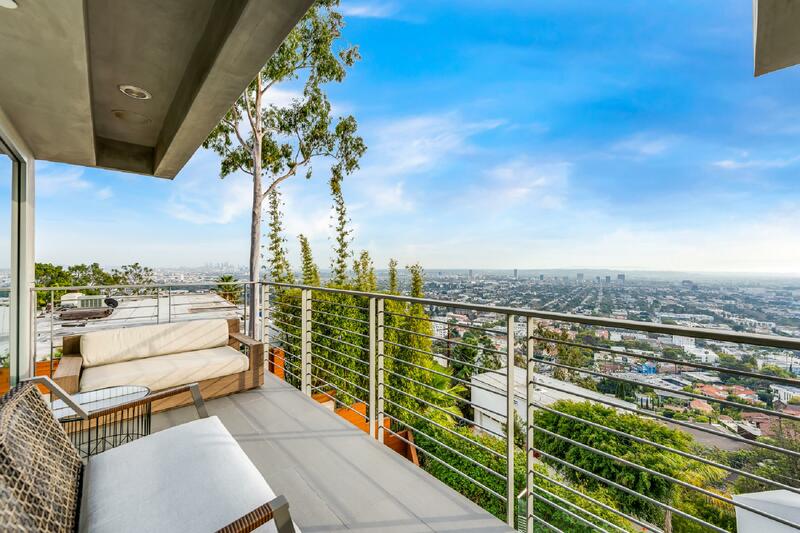 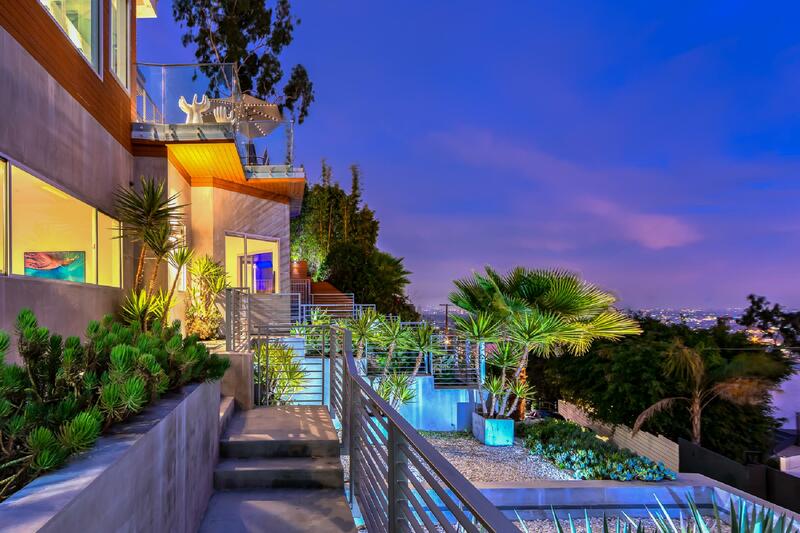 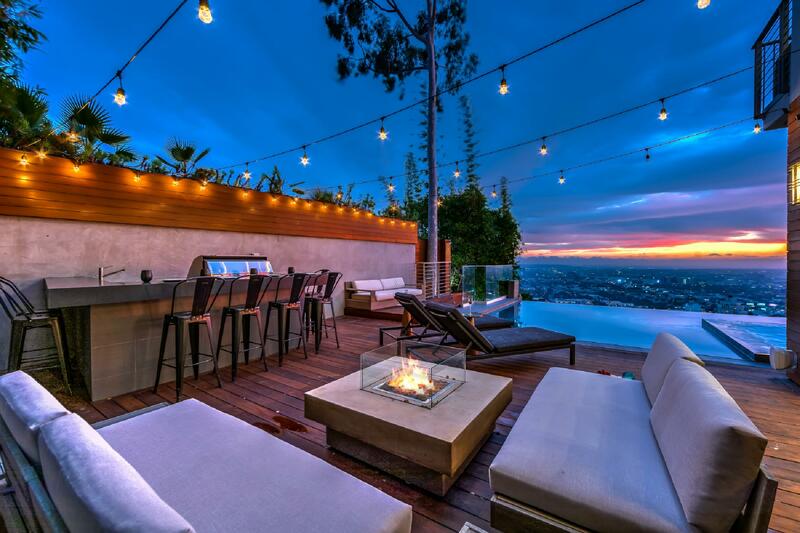 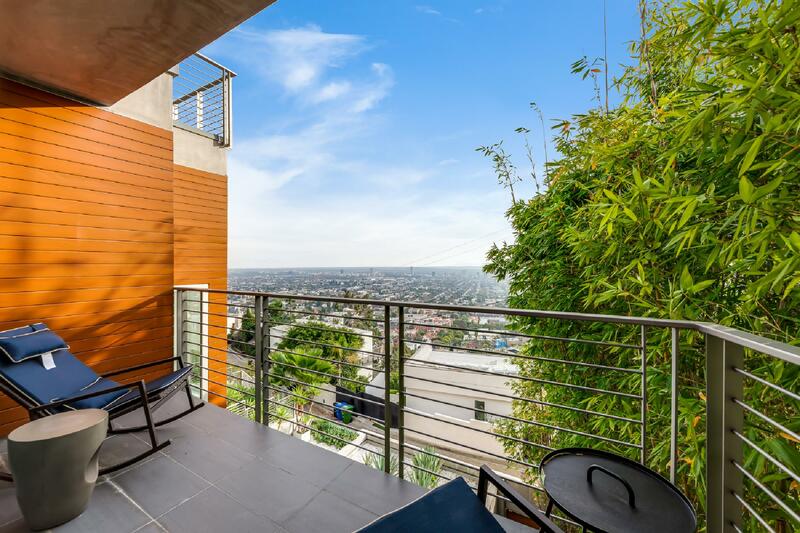 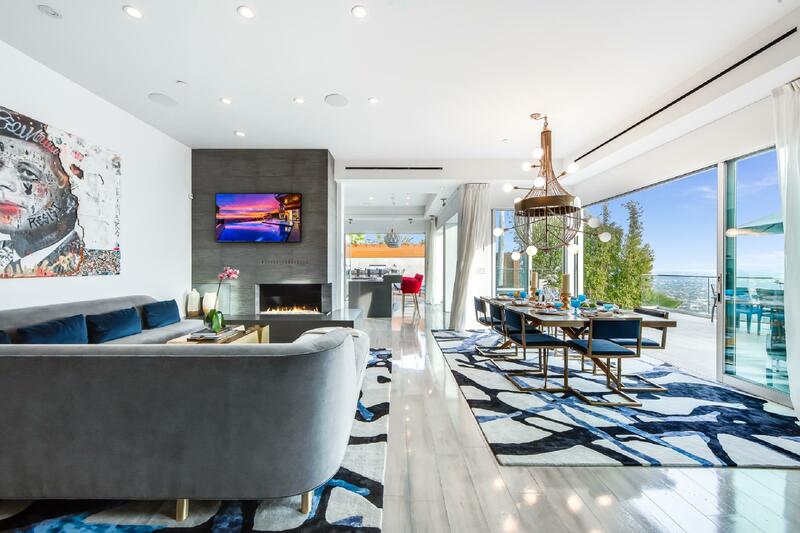 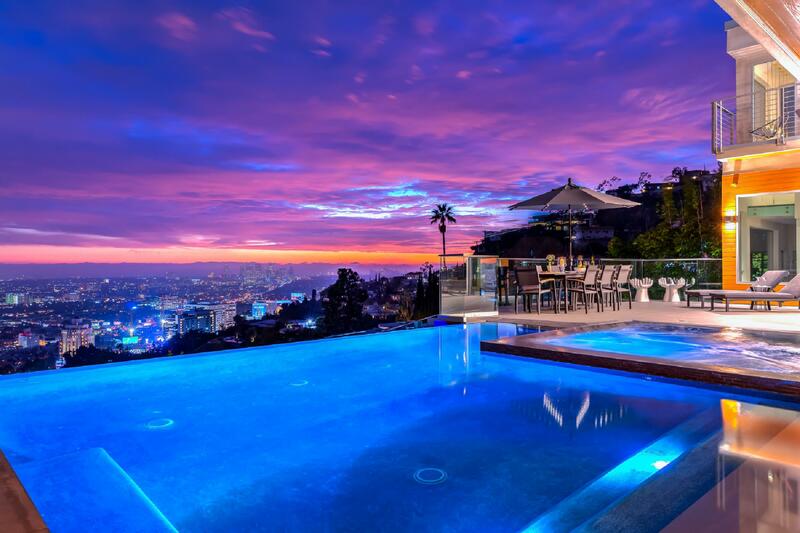 Boasting some of the best views in the Hollywood Hills, this premier property designed by world-renowned architect Irving Philips will simply take your breath away. 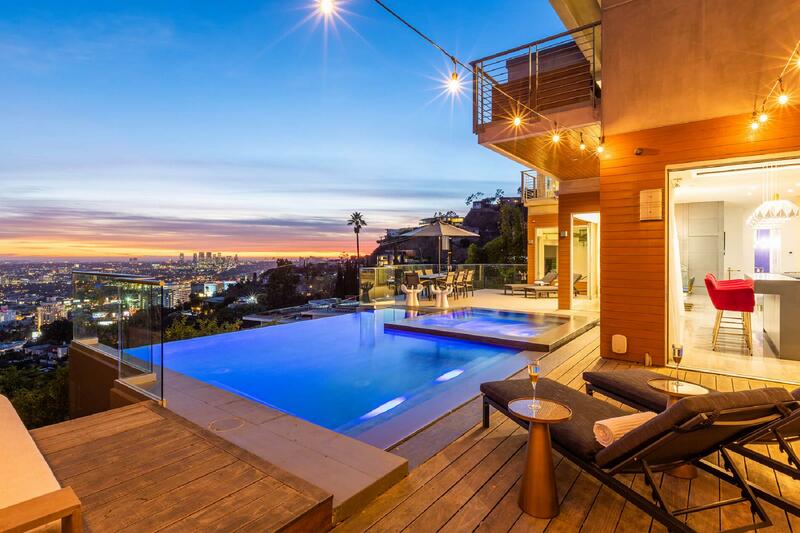 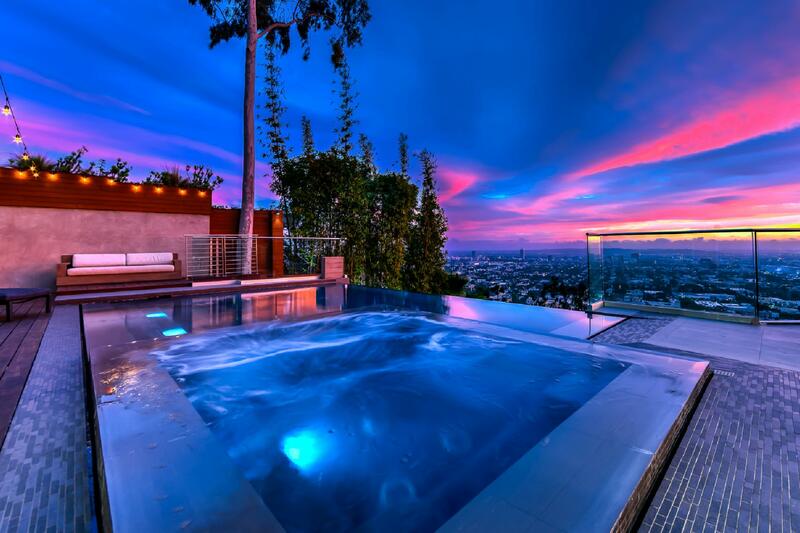 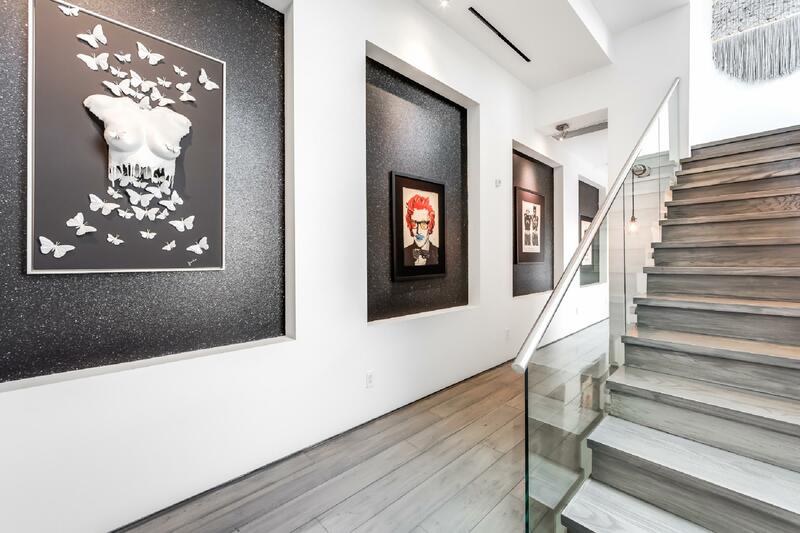 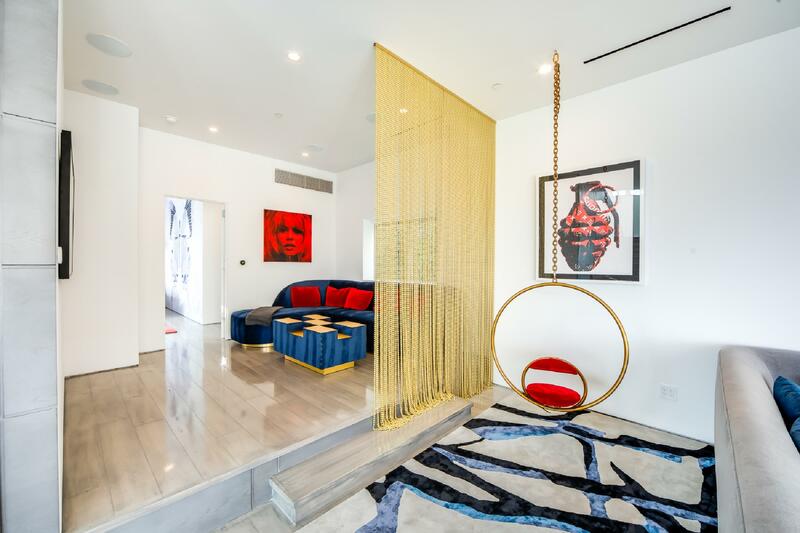 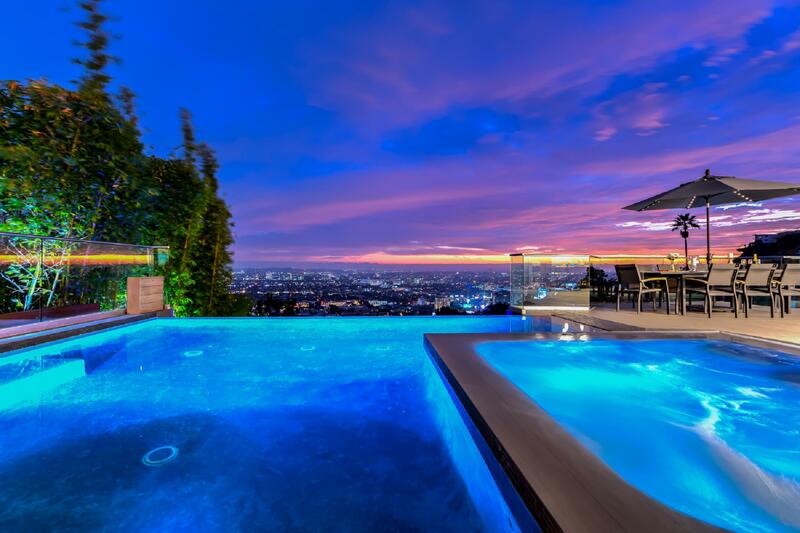 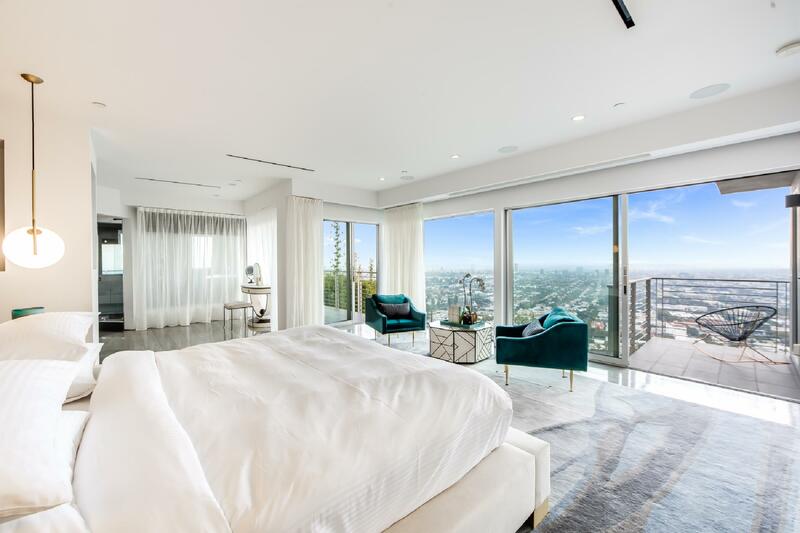 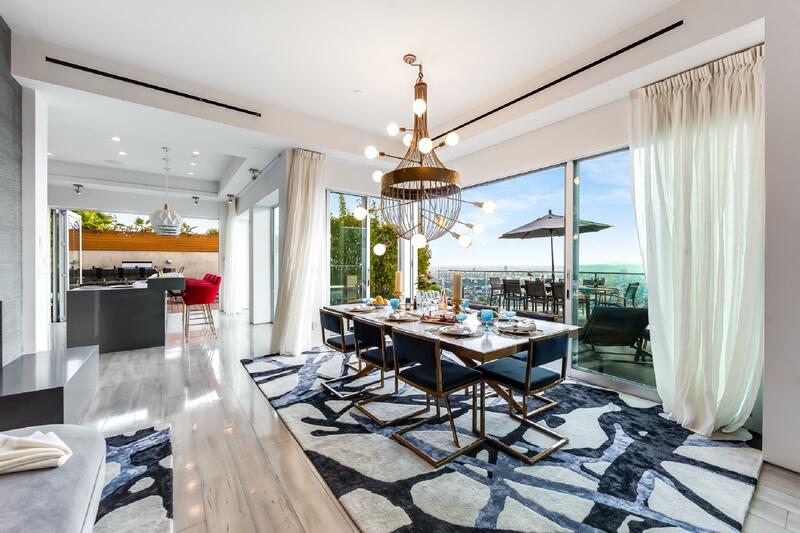 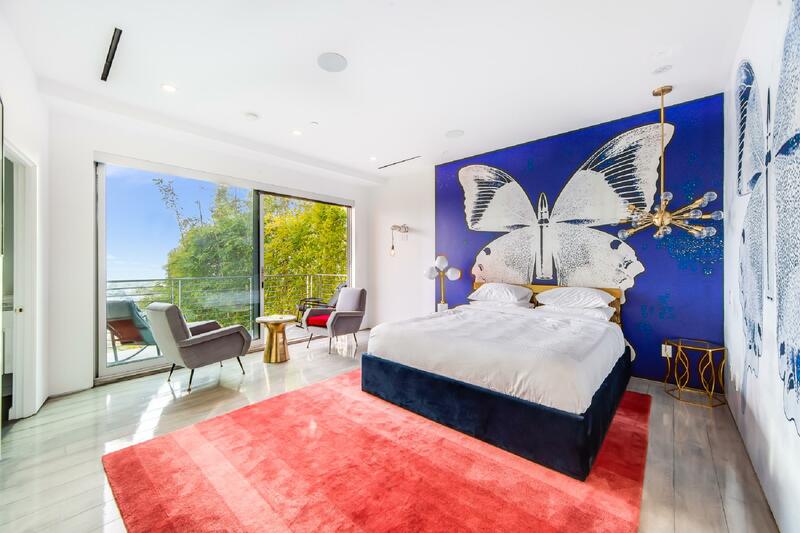 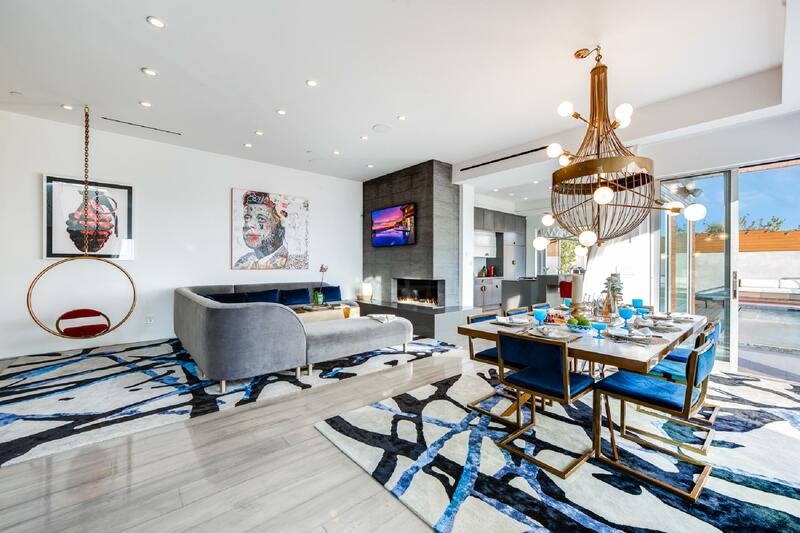 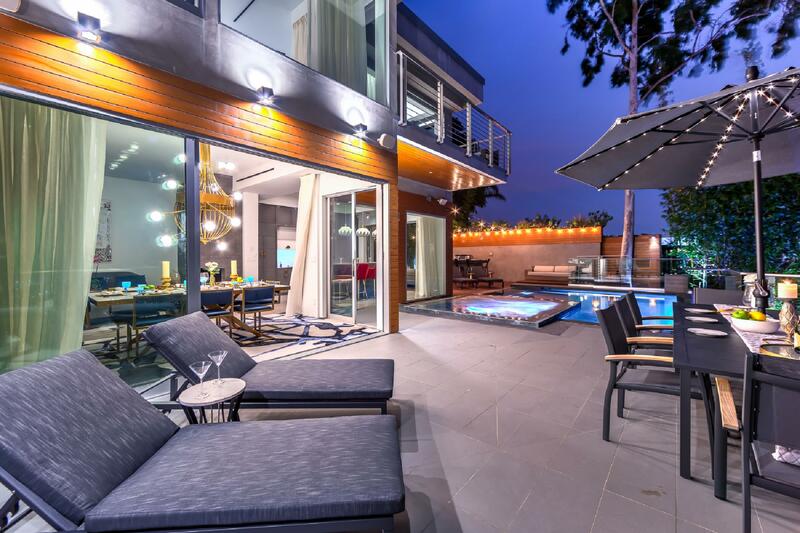 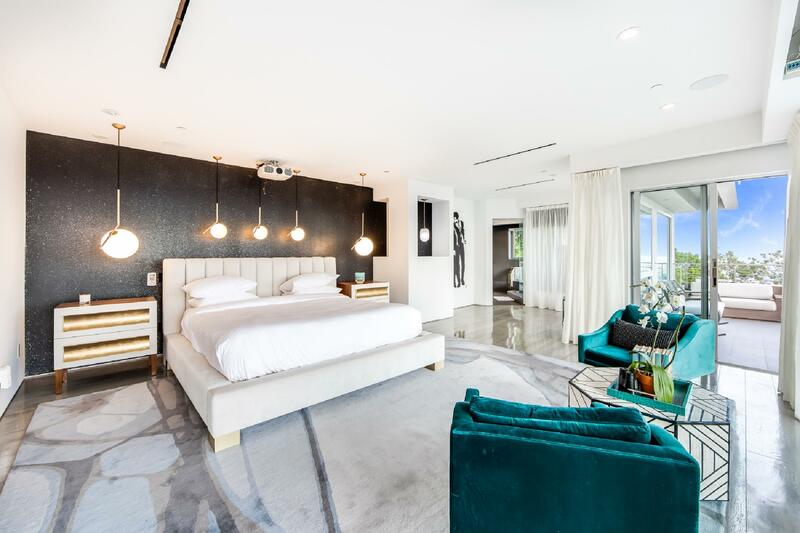 With luxuries too numerous to name, some of the highlights include an infinity-edge pool and spa looking over the Hollywood Hills and the lights of LA. 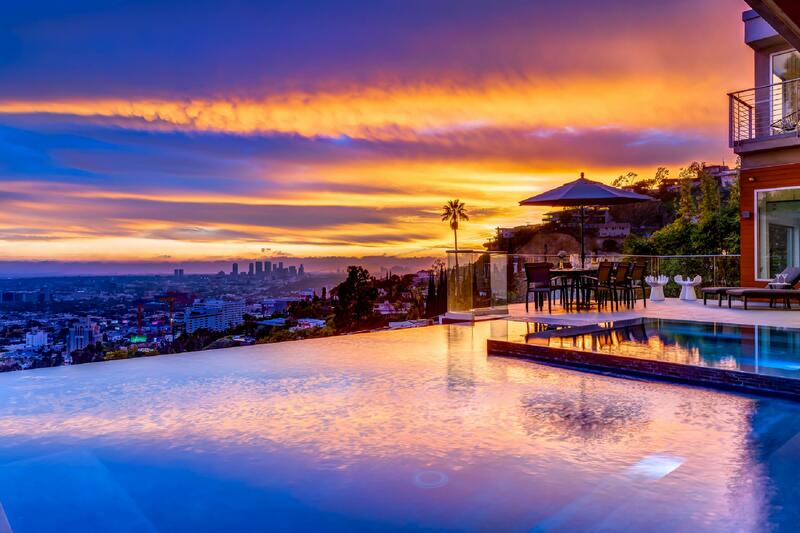 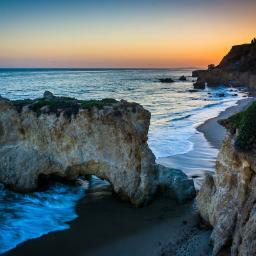 Absolutely stunning sunsets are yours every evening from arguably the best seat in the Hills. 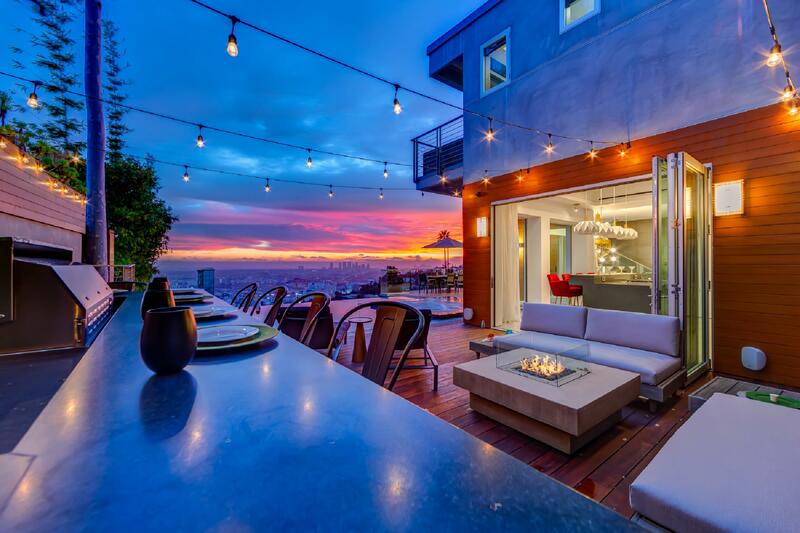 A complete outdoor kitchen allows you to spend quality time with friends and family among the amazing decks and terraces and enjoying the focal point waterfall. 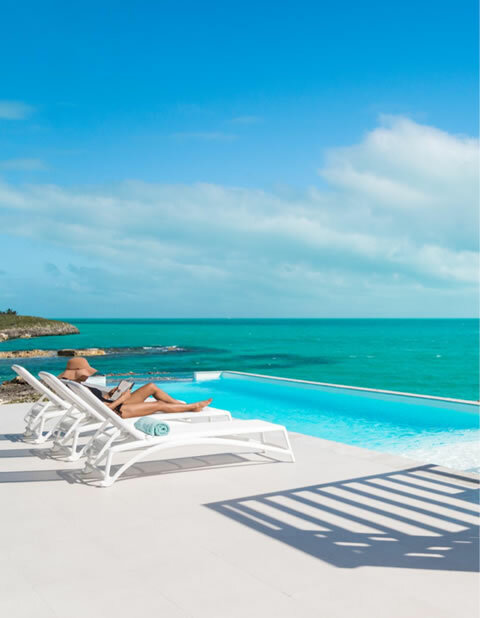 Your privacy and security are protected here, with an iPad controlled Smart Home system, Nest temperature controls and security cameras. 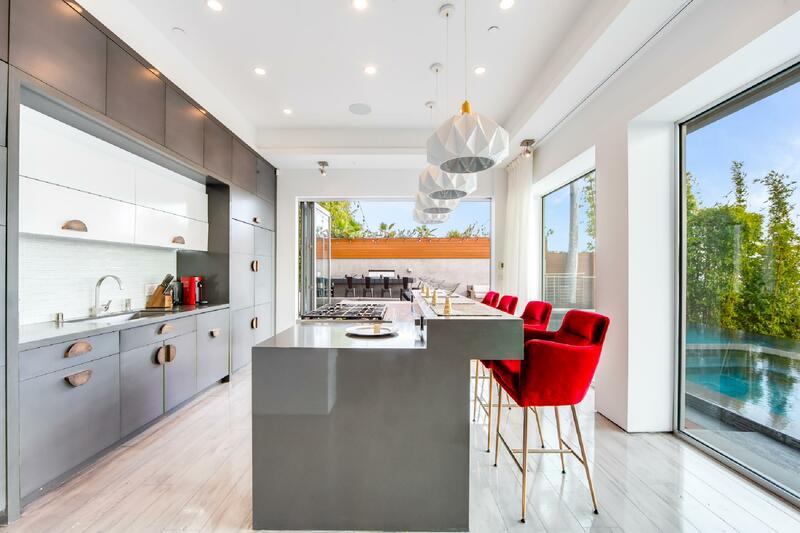 This home was designed for seamless indoor/outdoor living, as evidenced by retractable doors in virtually every room, bringing the outdoors in and creating massive additional living space. 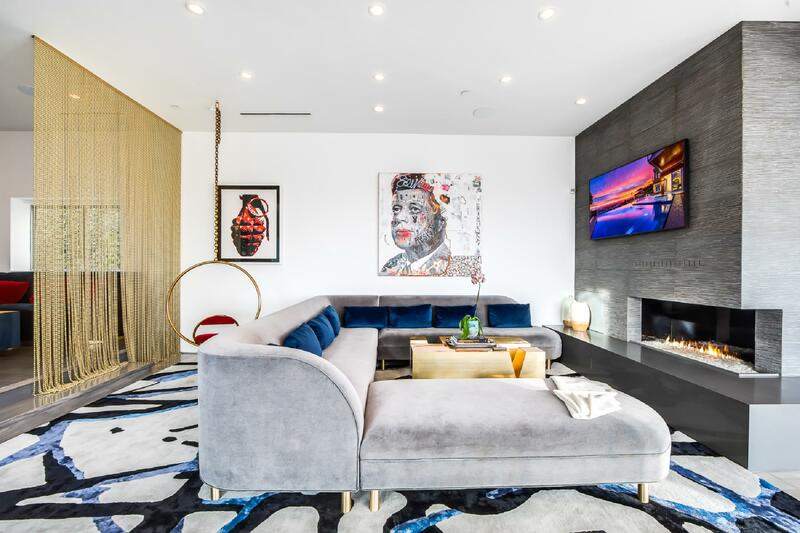 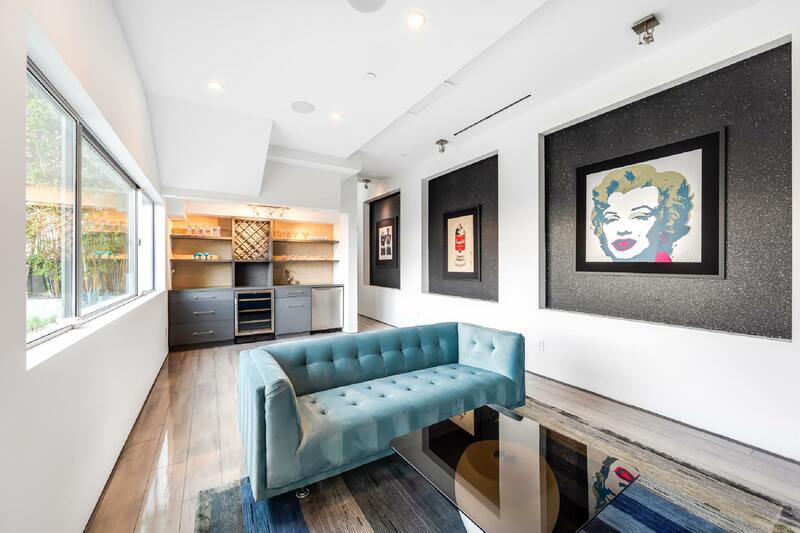 With hardwood floors throughout, the living room is decorated with mid-century modern furnishings, and accented by a fireplace. 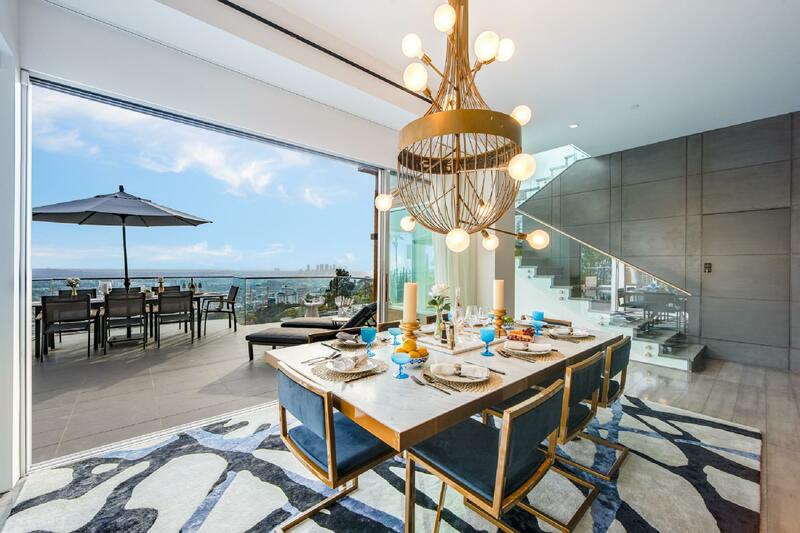 The formal dining space overlooks your stunning view through walls of windows. 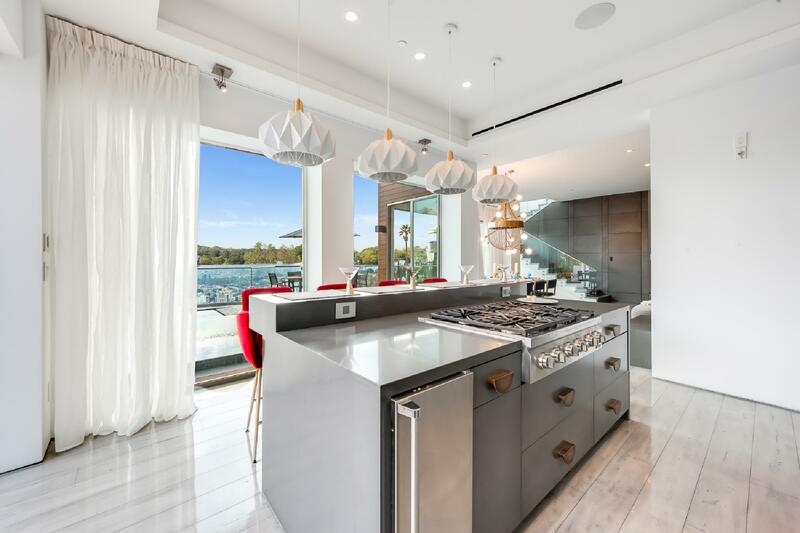 The sleek, modern kitchen boasts all the upscale touches to make your group chef swoon, including plentiful workspace, a center island with seating, abundant natural light and easy access to the outdoor kitchen. 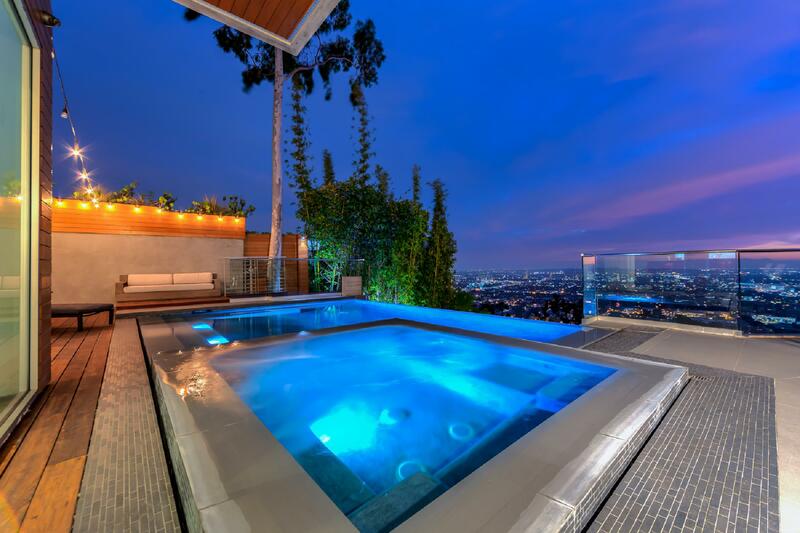 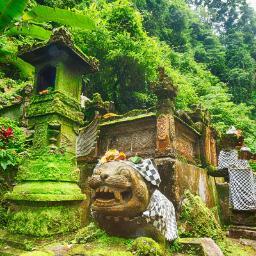 The master sanctuary is found on its own floor, with walls of glass for gazing over the cityscape at night. 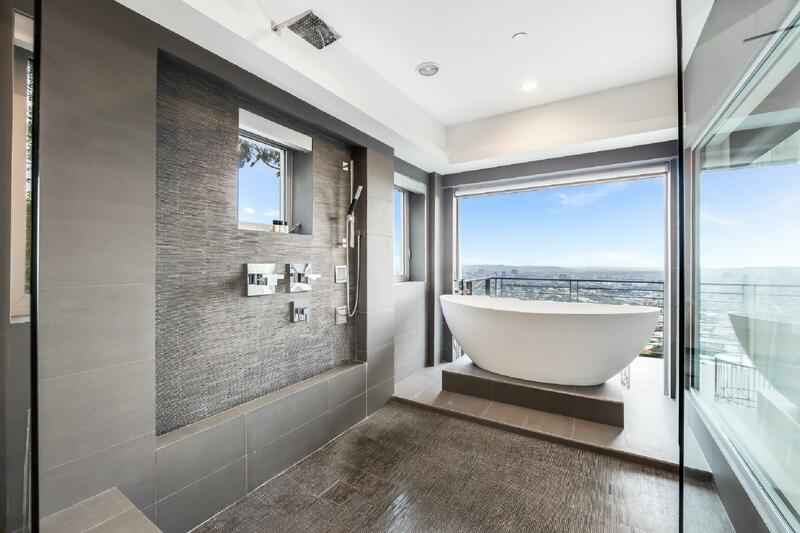 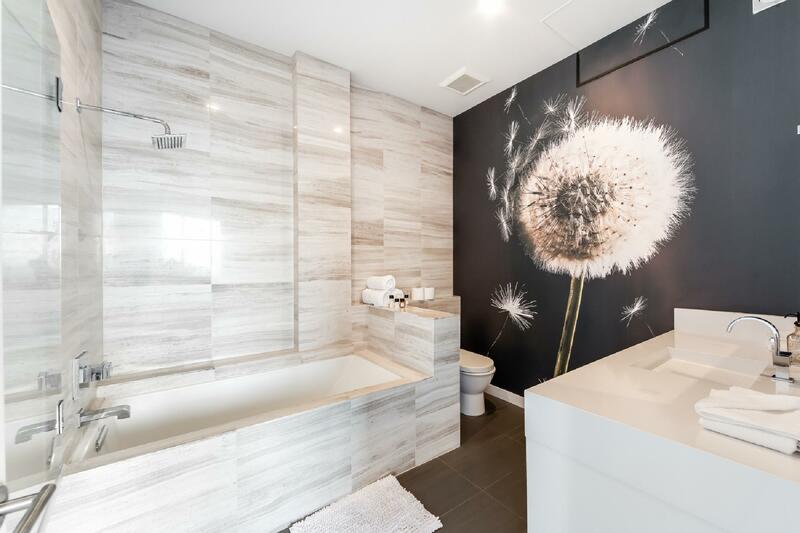 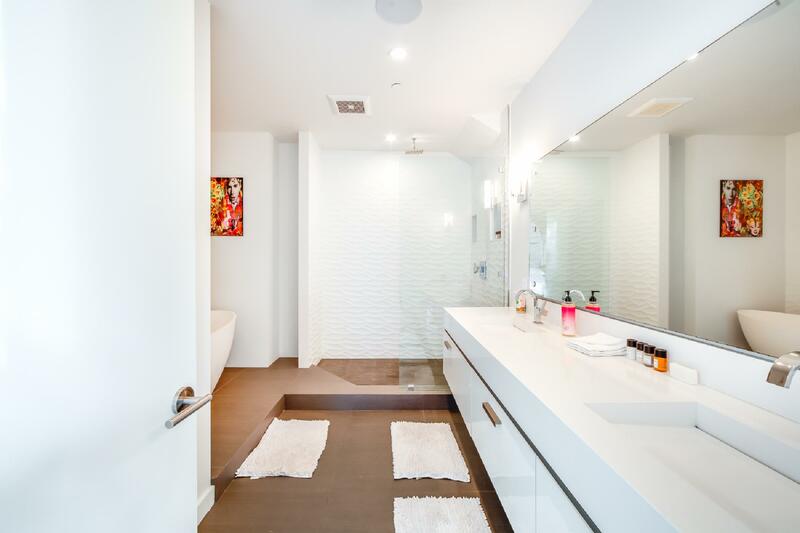 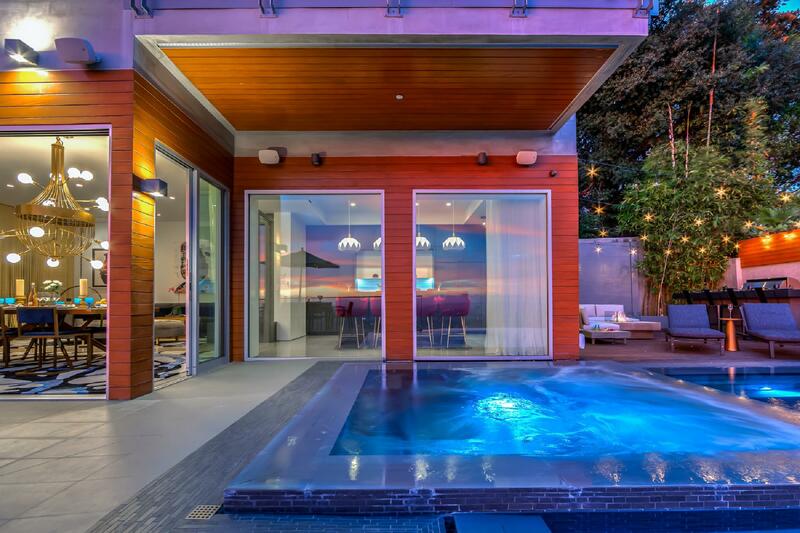 The master bath offers a large soaking tub overlooking the city and sumptuous spa-like experience. 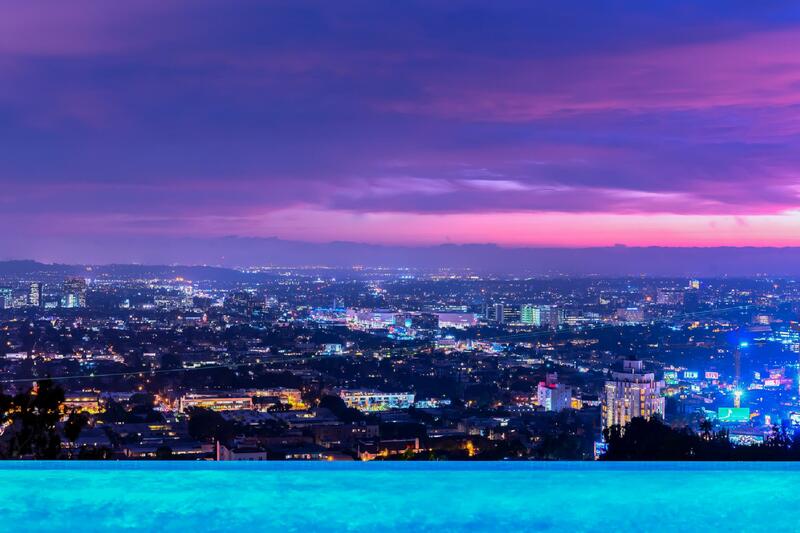 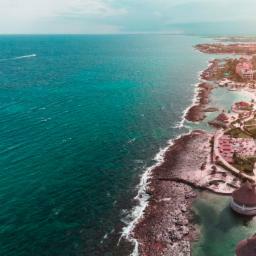 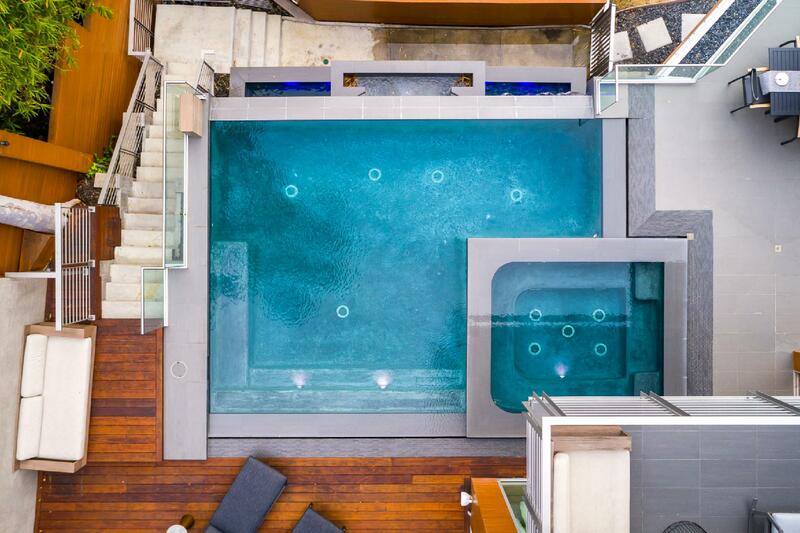 Within close proximity of all the exceptional dining, upscale boutiques and singular attractions that make this area famous the world over, you’ll have the vacation experience you’ve dreamed of at the Hollywood Panoramic Infinity Villa.